Banks are essential for everybody, but millionaires and other high-net-worth (HNW) customers need to be especially choosy about the banks they use. With more money at stake, there’s more to gain or lose, and the banking experience is different for HNW individuals. If you’re fortunate enough to have significant wealth, you may be able to enjoy benefits that come with higher account balances. Banks stand to earn more off of your relationship, so they’re eager to reward you and compete for your business. As you shop banks, compare the features below. Interest Rate Tiers: With a significant account balance, you should be eligible to earn more (a higher Annual Percentage Yield) on your deposits. Evaluate how much banks pay at different levels, and shop around. But you may find that, even as a multi-millionaire, online banks are the best place for idle cash. Dedicated Customer Service: Most financial institutions have specialized departments for HNW customers, and it pays to work with those teams. You get access to experienced individuals who have excellent customer service skills and who are more empowered to solve problems for high-priority clients. Free Services: Although you can probably afford to pay $35 for a wire transfer, it’s nice to get things for free. With a sizeable account balance, you should automatically enjoy no monthly fees, free cashier’s checks, free stop payment requests, a safety deposit box, and more. ATM rebates are more or less standard for HNW customers. Higher Payment Limits: Standard bank rules may be inconvenient for millionaire customers, who often need to move large sums. But private banking arrangements typically allow for much larger debit card purchases, higher ATM withdrawal limits, and generous ACH transfers. Better Borrowing: Look for lower interest rates on loans, but don’t expect free money. Still, banks are willing to waive origination fees and other closing costs, as well as move your application through underwriting quickly. They might even make exceptions when you don’t fit the standard profile. If you need to use assets like your private jet as collateral, that’s typically not a problem. Cash Management Accounts: Some firms that traditionally served brokerage needs now want your banking business. 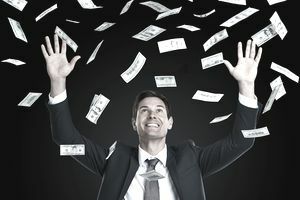 Cash management accounts, with competitive interest rates and ATM rebates, are ideal for millionaires who prefer to manage their finances themselves. Plus, cash management accounts can spread funds among multiple banks to provide more than $250,000 of FDIC insurance in a single account. For example, the Fidelity Cash Management account uses bank partnerships to place up to $1,250,000 in FDIC-insured accounts (but read about the details to ensure that you’re protected). For better or worse, banks go out of their way to make you feel important. They use prestigious-sounding names, but “private banking” comes in various tiers and means different things. Determine what you value before selecting a bank. You may get invitations to sports events, galas and auctions, and all of the free lunches you can stand. But the most important thing is to get your needs met. Banks don’t just want your checking account. They’d prefer to deepen the relationship with financial and estate planning, and they’d love to finance any business needs, so expect a few sales pitches. The most popular banks for HNW customers, according to surveys and industry studies, include J.P. Morgan Chase, Bank of America, and Wells Fargo. But smaller banks and credit unions are also popular with millionaires and multi-millionaires—and those names rarely make the “Best Of” lists. J.P. Morgan Chase: Euromoney’s 2018 Private Banking and Wealth Management Survey names J.P. Morgan as the top institution for U.S. customers. Likewise, Global Finance named the bank the “Best Private Bank for Social Responsibility.” J.P. Morgan requires $10 million in assets for the highest levels of service, but those with an average daily balance of $250,000 in deposits and investments are eligible for Chase Private Client. Private Client relationships qualify for the coveted Sapphire Rewards card. Bank of America (U.S. Trust): In a 2014 study of mass-affluent and HNW households, 16 percent of respondents named B of A as their primary bank with Wells Fargo being the only other name to claim that many customers. The bank is most popular among ultra-high-net-worth segments, with a net worth between $5 million and $25 million. Older customers also lean toward B of A (when compared to other big banks), apparently due to the bank’s household-name status. Citibank: Citigold Private Client caters to international clients with at least $1 million in liquid assets. Citibank has a particularly strong global reach, and the Citigold package includes access to dedicated 24/7 customer service teams. Citi waives most standard banking fees in the Citigold package. Local and Regional Banks: Not everybody wants to work with a global powerhouse. You can be confident that local business owners and entrepreneurs keep large balances on deposit with small institutions—and they are perfectly satisfied with the services they get. In the Spectrem HNW study above, 42 percent of HNW individuals said their primary bank isn’t one of the large, well-known banks. When you use smaller banks and credit unions, you’re a bigger fish in a smaller pond. Plus, some local business owner millionaires prefer to keep their business in the community that supports them. PNC operates in 19 states around the East Coast and Midwest, with dedicated Banking Advisors available seven days a week. Advisors coordinate with other professionals, and they can help with basic banking needs, borrowing for business assets, and more. No matter where you are, local banks and credit unions are worth a look. With more liquid cash, it's easier to leave yourself at risk. Be sure to review your deposit insurance coverage regularly. Both banks and credit unions offer federally-backed deposit insurance, but there are limits. If you have more than $250,000 in any institution (or if you're approaching that level), ask a banker to explain your coverage.